Microsoft Windows Vista™ include many new features and enhancements. The most visible evolution will be the new Graphical User Interface (GUI). A first look at Aero (the codename for the Windows Vista™ user experience) reveals a slicker interface with sharper graphics. But the changes are not only visual. Aero has been designed to comply with computer technology that will be delivered over the next decade. Many new features have been implemented in Aero to support the hardware changes to come. One of the most important enhancements of Aero is its ability to deal with the high-resolution displays of the future, and that feature a resolution-independent UI. At present, monitors generally have a resolution of 96-DPI (dots/pixels per inch). Simply put, 48x48 icons are displayed on screen in a half-inch square. Future LCD screens however will support resolutions up to 192 DPI. Therefore, to be displayed at the same size without quality loss, icons must include much larger images. That's the reason why Windows Vista™ introduces a new standard for Windows� icon size: 256x256 pixels. The screenshot below shows the Windows Vista™ File Browser displaying icons using the maximum resolution available: 256x256. Of course the result seems a bit "large" on a 96-DPI screen, but keep in mind that this technology has been designed for future screens. The icon files have been created with Axialis IconWorkshop™. An additional option will permit you to display icons at smaller sizes more attune to medium-res screens (say 120-DPI) screens. In such cases Aero uses the 256x256 image and shrinks it the desired size without any quality-loss. The result looks really slick with real-time zoom! The problem is: if you simply make the icon and save it in standard Windows� XP ICO format, the resulting file will be 400Kb on disk. The solution is to compress the images. Only the 256x256 images are compressed. The compression scheme used is PNG (Portable Network Graphic) because it has a good lossless ratio and supports alpha channel. The compressed icon sizes are 100Kb to 150Kb. The PNG compression is embedded in the ICO file for the 256x256 images only. PNG compressed Windows Vista™ icons cannot be read and edited with an Windows� XP-only compatible icon editor, nor can you open them with a PNG image editor. You will require a Windows Vista™ compatible icon editor, like Axialis IconWorkshop™ , to edit such icons. Windows Vista™ compressed icons are compatible with Windows� XP. They can be used in Windows� XP but only using the standard formats (48x48, 32x32 and 16x16) which will be read and displayed. The 256x256 PNG formats will be ignored. 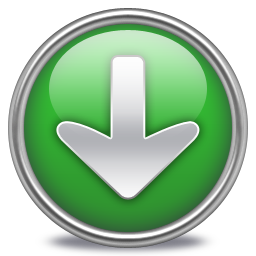 For example, if you save the down.ico (see link above) on your Windows� XP desktop, it will be displayed as 48x48. The most important fact is that Windows� XP won't reject Windows Vista™ icons. Can we add other formats, such as 128x128, in Windows Vista™ icons? Yes, but this is not recommended. 128x128 format is used by Windows� XP Desktop or Dock-Bar applications. These applications will probably support 256x256 icon format when ported under Windows Vista™. Can we create 256x256 icons which display under Windows� XP? Simply by creating uncompressed versions of the icons. They will work on all versions of Windows. However, if you want to display at large size under Windows® XP, you must install a Deskptop Enhancer application. The drawback is the icon file size: 400Kb for an icon! Using Axialis IconWorkshop™ you can easily remove the PNG compression option. Here is a step-by-step tutorial on how to create a Windows Vista™ compressed icon using Axialis IconWorkshop™. 1. Create a 256x256 version of your icon image using any image/vector editor. Save your artwork with smooth transparency (32 BPP alpha channel) using a file format that is compatible with Axialis IconWorkshop™: BMP, PNG, JP2000, PSD. You can also transfer your work from Adobe Photoshop� using the Axialis transfer plug-in (see this tutorial) or you can create an icon by assembling several image objects (see this tutorial). In this procedure, we'll use this file: down.png (we recommend you to download it and save it on your disk - use right click and choose "Save Target As"). You can also find the file in the Librarian, folder "Objects/Pack 2 - Realistic Buttons". If this object pack is not present in the folder, you can download it from here. 3. If the scale-1:1 preview window is not in 256x256 mode, the preview image will be cropped. It is recommended that you switch to 256x256 preview mode if you want to work with 256x256 Windows Vista™ icons. To switch to this mode, right-click in the preview window, a menu opens. Choose "256x256 Display". The preview window now looks as shown above in floating mode ( ). Use the same method to return to the previous state: choose "128x128 Display", remove the "Floating Window" option and use the mouse to dock the window. 4. Select the whole image. Choose Edit/Select All or press Ctrl+A. An animated selection rectangle is now drawn around the image. 6. Type the Name of the new icon project ( ). The root of the image file is proposed by default. 7. Select the images formats to include in the icon ( ) by clicking on the images. To create a Windows Vista™ icon, it is recommended that you follow the Windows Vista™ specifications as specified above. Don't forget to add the 256x256 Windows Vista™ formats in RGB/A (Windows® XP), 256 and 16 color modes ( ). 8. To create a fully-compliant Windows Vista™ icon, you'll need to compress the 256x256 formats in PNG. Select the associated option ( ). 9. You can also choose to apply the dithering option to the 256/16 color images as well as add a filter effect to smooth/sharpen the resulting images in RGB/A mode ( ). View the results in the preview images. 11. The main window with the grid ( ) is the edition area where you can retouch the icon. The gray chessboard-like texture behind the icon is the transparent portion of the icon (the alpha channel info has been preserved). The scale 1:1 preview is displayed in the associated window ( ). 12. All the available formats are displayed in a list ( ). You can select them to edit ( ) or preview ( ) them. See the application built-in help (press F1) to learn how to add/remove formats or work with this icon project. 23. The compressed format (only the 256x256 formats can be compressed) are marked with this overlay PNG compression image: . You can add/remove this option by choosing Draw/Compressed Image Format (Windows Vista™) or by pressing "K". You can also use the local toolbar or a right-click menu. 14. When done, save the icon by choosing Edit/Save or pressing Ctrl+S. The resulting icon size is 150Kb. This is unsurprising to us since this new ICO file format introduces a new header which points to raw PNG data. Of course the compiler returns a false error message. The DIB header is not old, it is PNG. Passing it through SDKPAINT does not help. Windows Vista™ compressed icons have also been reported as not functioning in the Delphi programming environment. New components will no doubt be developed in the future that identify these shortfalls. Create a 256x256 icon with all formats embedded as recommended for Windows Vista™. Save your icon without compressing your 256x256 formats (approximately 400Kb icon file). Once the icon is created, work on your project as usual. The compiler will handle correctly the image since it won't be a PNG image. 1. Open the EXE file containing the uncompressed icon in IconWorkshop. 2. The file opens in a document window with all the embedded icons displayed. Be sure to display all the formats in raw: choose "View/Display Icons/All Formats In Raw". 3. Double-click on the icon you want to compress. It opens in another document window. 4. In the list of available formats (vertical list on left), right-click on the first "256x256 RGB/A" format, a menu opens. Choose "PNG Compressed Image Format (Windows Vista)". A small overlay icon indicating the compression is displayed ( ). 5. Repeat step 4 with the other 256x256 image formats (if any). 6. Save the icon "File/Save". Close the icon window. 7. Back in the EXE document window, you see the compression overlay icon ( ) displayed on all the 256x256 formats. Repeat steps 3 to 6 for all the other icons containing 256x256 images (if any). 8. Save your EXE document, close the window. 9. You're done! The EXE file size is smaller indicating that the compression is made. Windows Vista™ icons deliver a new framework of icon presentation for high definition monitors and operating systems while remaining compatible with Windows� XP and lower definition screens. The larger 256x256 icon format provides additional opportunities for icon designers to explore more subtle and detailed development in their aim to create visual symbols that aid the user in their use of the computer environment.